Today I welcome Patrice Sarath to my blog. Patrice is one of my fellow Angry Robot writers, and she has a new book coming out today! 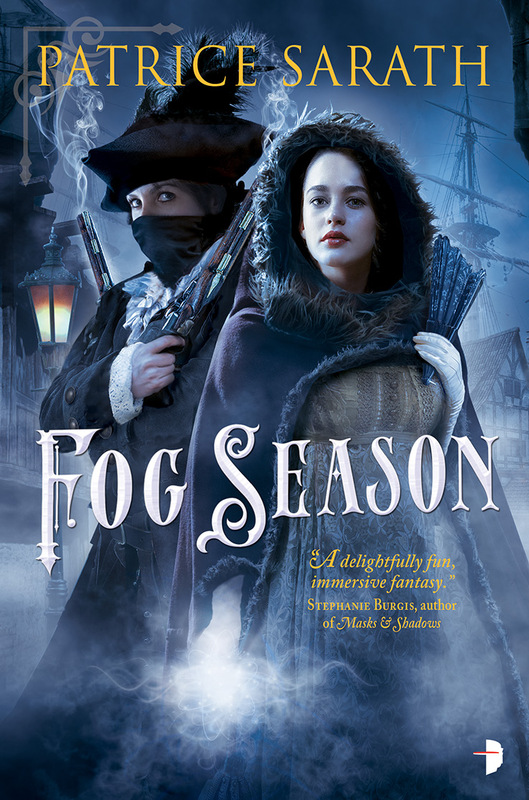 The book is called Fog Season, and it promises to be another excellent release from a gifted author. In today’s post, Patrice writes about world building. Enjoy! When I was developing the city of Port Saint Frey, the setting of my secondary world fantasy series, I wanted the city to feel real and lived in, in a way that would draw in readers so they could feel like they were visiting the place themselves. While Port Saint Frey is an amalgam of San Francisco, Baltimore, and Bath, England, I was inspired by Charles de Lint’s Newford. 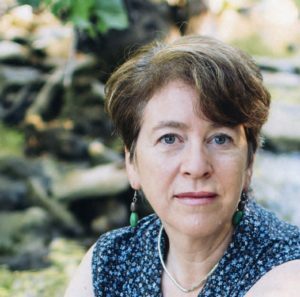 De Lint is a master at creating place, and Newford has the dimensionality of a real city. It lives on after the reader closes the page. That’s what I was aiming for with Port Saint Frey. The best way to achieve that kind of real-world effect is by presenting your worldbuilding in small, significant details that illustrate how your characters interact with their world. So, in my secondary world, late Regency, early Victorian era, there are water closets and sewer systems and neighborhood water pumps. There are cobblestone streets that are detrimental to horse’s hooves. There are oil lamps, filled with whale oil (old technology) or camphene oil (new technology and highly flammable). There’s a shopping district, a coffee shop where the dealmaking is done (based on Lloyd’s of London in the UK), the docks, the slums, the warehouses, the posh neighborhoods. And instead of writing paragraphs of description, I fill in the details about how my characters are impacted by their world. They turn an ankle on a cobblestone. They have trouble sewing by a low lamp. They use a water closet or they encounter raw sewage in a slum. They are snubbed in a fancy shop. They rob their friends at gunpoint at a public house. These small details are far more effective at making a world feel lived in than all the backstory in the world. When you do research to create your fantasy world, even though the majority of that research will stay in your head, it informs the small bits that make it onto the page. You should always know more than your readers do about the world that you’ve created. The more real it is to you, the more real it will be to your readers. One of the best things I ever did was draw a map of Port Saint Frey. This has saved my bacon a number of times, because once you can go to the map and say, “how do I get my character from Point A to Point B,” and you can see at once that the character has to take Kerwater Street out to Chandlers Row and take a right onto Barrell, then you know your city has taken on a life of its own. But world building should do more than set the stage or the scene, or provide a physical sense of place. World building should illustrate character and motivation and history and nuance. Again, it’s how characters interact with their world and are impacted by it. In that sense, world building drives plot. The following scene from Fog Season takes place in one room, but from that one room we get exposition, impact, decision making, and consequences. One room, one conversation — a world happening around the characters, and yet it is pivotal to the plot and to the characters. The gray light of Fog Season could scarcely be distinguished from noon or evening. Abel lay entwined with Elenor Charvantes, the second assignation in as many days. She drowsed in the crook of his arm. He cursed himself for a fool. This was too dangerous; Doc would kill him if he knew. And though he was not afraid of Jax Charvantes for himself, he knew the lieutenant would be brutal to Elenor if he found out. He was restless, jumpy. As carefully as he could, he slid out from under her and left the bed, the cold air a slap against his nakedness. In the bed, Elenor murmured, but continued to doze. Abel went to the window and looked out. It was midday but the streetlamps of the fog-shrouded city were nothing but smears of light in the mist. Some other light caught his eye. Red and yellow flames from across the city, high on the western headland. Abel frowned and looked closer. Fire. “Aren’t you cold?” said Elenor sleepily behind him. “It feels good,” he said, without turning to her. What could be burning so high above the city? “What are you looking at?” She was fully awake now. Her bare shoulders almost glowed in the dim lamplight. Her hair had fallen from its prim bun and was tousled and wild. She was lovely and he was an idiot. She got out of bed, wrapped in the blanket, and peered out the window. Her gaze sharpened. “My God. That’s the Saint Frey place.” Almost as soon as she remarked upon it, the fire dwindled, and finally disappeared. The mists closed in as if there were nothing there. Abel could hear them now too, the clangor rising up to the third floor of the Bailet. Elenor put her arms around him, pulling him inside the blanket with her. He closed his eyes, the sensation of her desire overwhelming him, overpowering his nerve endings. Interesting, Abel thought. Interesting that a girl who had extraordinary capabilities and powers should like a boy who had not been seen in society for months. Interesting that his mother should stand against the match. And interesting that her house should catch fire. “I have to go,” Elenor said, sighing against his skin. He turned to face her, and she rose on tiptoes to kiss him. He felt himself helpless under the onslaught of need, hers and his. “Elenor,” he began, knowing it was no use. “I know. It’s not safe. I know. I won’t come back here. We’ll think of something else.” She was trying to be brave; he could tell. She gave him a smile, touched with rue. “We will,” he promised, cursing himself for his own weakness. He had to end it, for both their sakes, and at the same time he knew he would not be able to withstand her. She dressed quickly and wrapped herself up against the cold, her scarf muffling her face. He made sure the hall was empty before she left his room and scurried down the hall to the stairs. Abel dressed and went downstairs to the Bailet dining room for an early lunch, nursing a glass of beer along with a thick garlic and beef stew, and instead of wondering how to find Trune and kidnap the Mederos girl, he spent his time trying to determine the best way to protect Elenor Charvantes from her brutal husband, and still be able to see her. And still, in the back of his mind, he wondered about the fire at the Saint Frey mansion, so quickly put out, and its odd, almost inconsequential connection to Tesara Mederos. Patrice Sarath is an author and editor living in Austin, Texas. Her novels include the fantasy books The Sisters Mederos and Fog Season (Books I and II of the Tales of Port Saint Frey), the series, Books of the Gordath (Gordath Wood, Red Gold Bridge, and The Crow God’s Girl) and the romance The Unexpected Miss Bennet. Patrice is an avid horsewoman. She also enjoys bike-riding and hiking the woods and trails outside Austin. This entry was posted in Angry Robot Books, Fantasy, Novels, Publicity, Writing, Writing Life and tagged Angry Robot Books, Patrice Sarath, worldbuilding, writing, writing life. Bookmark the permalink.